(AP) TOKYO - Faced with mounting losses, Sony Corp. (SNE) said Thursday it will slash 10,000 jobs, or about 6 percent of its global workforce, and try to turn around its money-losing TV business over the next two years. New CEO and President Kazuo Hirai outlined his business strategy at a big press conference where he pledged to revive the electronics and entertainment company. Sony earlier this week more than doubled its annual net loss projection for the fiscal year through this past March to 520 billion yen, or $6.4 billion. That would be its fourth straight year of red ink and worst loss ever. "As CEO, I take this very seriously. But at the same time, it strengthened my resolve to transform Sony," Hirai told hundreds of journalists. "Employees too want to restore Sony to its former glory and go beyond." Sony, whose businesses run from digital cameras and personal computers to PlayStation game consoles and movies such as "The Smurfs," has been battered by competitors including Apple Inc. and Samsung Electronics Co. For years, it has been struggling to regain the swagger and innovative flair that made it a dominant force in the 1980s and early 1990s. The company has also been hit over the past year by production disruptions from flooding in Thailand and a strong yen, which reduces income from exports. "Sony will change. I've fully dedicated myself to changing Sony," said Hirai, 51, who took over the helm from Welsh-born Howard Stringer this month. Hirai said he was committed to strengthening the company's mainstay electronics business  which includes digital cameras, games and smartphones  by concentrating investment and technological development in this division. He aims to boost its share of overall company sales to 70 percent by the year through March 2015 from current 60 percent. Through cutting fixed and operating costs, Sony will make its TV business, which has lost money for eight straight years, profitable again by the fiscal year through March 2014, he said. To cover the job cuts and restructuring efforts, Sony will take a 75 billion yen charge this fiscal year. Sony also will also seek new growth in emerging markets such as India and Mexico, targeting 2.6 trillion yen in sales by the year through March 2015. Sony also plans to expand its medical equipment business with products such as endoscopes and will enter the medical diagnostics business. The company aims for 8.5 trillion yen in overall sales for the year through March 2015, up from a forecast of 6.4 trillion yen for the just-ended fiscal year. In February, Sony raised its net loss forecast to 220 billion yen. But on Tuesday, it further revised that to a 520 billion yen loss, mainly blaming an additional tax expense of 300 billion yen stemming from revaluing U.S. tax credits that are unlikely to be used due its string of losses. It stuck with its operating loss forecast of 95 billion yen ($1.2 billion). 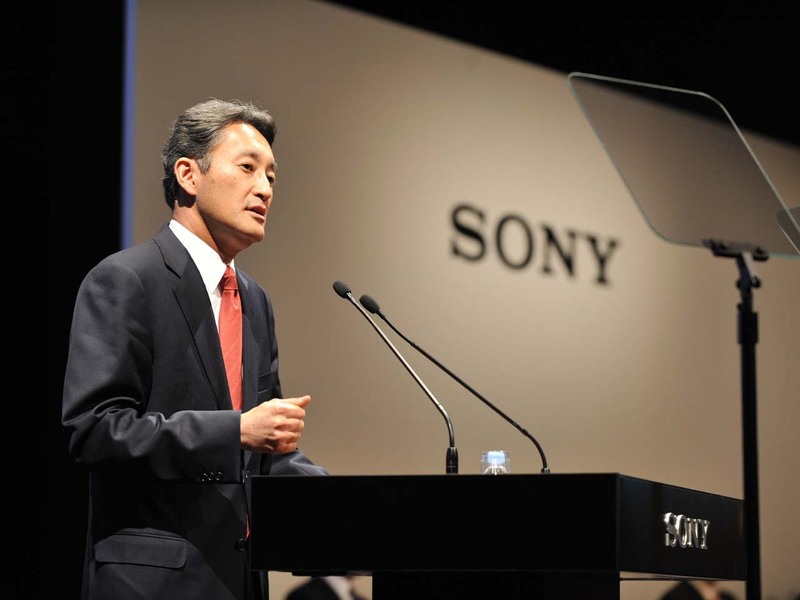 Sony predicts a return to an operating profit of about 180 billion yen for the year through March 2013. It will release earnings results and forecasts on May 10.